This summer we are delighted to be welcoming Beth Cope to the Lordsbridge Team as Team Pioneer Curate. A pioneer minister is someone called to be an entrepreneur in mission and whose main focus throughout their ministry will be on connecting with people and places not currently reached by existing churches. We are excited by the possibilities presented by having a trainee pioneer minister in the Team. Revd Alison Myers will be Beth’s training incumbent on behalf of the Team and will be responsible for how she spends her time. Beth will be ordained a deacon on 3rd July. Over the summer, Beth, her husband Peter and their children Matthew (aged 9) and Rachel (aged 8) will move into the curate’s house in Coton and will start to get to know the local community. 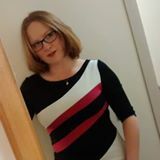 Before her ministerial training, Beth worked in technical marketing for an engineering software company and she has a PhD in computational mineral physics. Peter is a local vet. Together, they have been involved in pioneering a new church community with and for those without a previous church background. As a trainee pioneer minister, the requirements of Beth’s training and her responsibilities will be somewhat different to those of previous curates. As a member of the Lordsbridge Team, Beth will over time be involved in a number of different projects and worshipping communities across our villages. There are a number of things that still need to be finalized, however, we expect that Beth will initially spend time developing the Gateways community in Caldecote alongside learning the ropes of rural ministry based primarily in Hardwick. By special arrangement, she will also be spending a small proportion of her time with The Link, a fresh expression of church meeting in Cambourne’s newest housing area. We hope too that she will inspire us to be more pioneering in a number of our existing worshipping communities and villages.